We hope that you never need to use any sort of data recovery, but almost everyone does eventually, so here are several different ways to recover your data if it gets deleted or destroyed. If you accidentally delete a file, you can almost always recover it using the Trash folder in Microsoft Windows (also called the Recycle Bin). Although almost everyone knows about this trick, what you may not have thought about is how to empty your trash folder to make undeleting a file more effective. Instead of right-clicking on your Trash folder and emptying it out all at once, use the following method: open it up, change to the Listing view, and sort the files by date. Then delete any files older than one month. If you always follow this procedure, you’ll always give yourself one month of easy data recovery. The same trick also works in most email programs, including Microsoft Outlook. Outlook moves deleted email to its Trash folder. Open this folder, sort by data, and delete only the emails older than one month. One of the toughest data recovery problems is how to recover part of a file that you deleted and saved and closed. For example, you’re editing a term paper in Microsoft Word and you accidentally delete several pages without realizing it; then you save the file and close it. You don’t discover the pages are missing until the next day. What can you do? It used to be that there was nothing you could do on a regular PC, but that all changed with the innovative Dropbox backup service. You may have heard that Dropbox lets you share files with your friends, family, and business colleagues, but what you may not know already is that Dropbox keeps old versions of your files around for 30 days (or more with some plans). Here’s how Dropbox works: you add your term paper to your Dropbox folder on your desktop. Dropbox automatically puts a copy of your term paper on its server. Then every time you save the file, Dropbox copies just the changes to its server (this saves them space and saves you upload bandwidth). On the night you accidentally delete the several pages, Dropbox copies just the changes to their server as usual. My Pc backup also works like this. Computer Backup, File Syncing, Automatic Backup, Simple Restore. All From MyPC Backup. Start Your FREE Trial! The next day, you realize you accidentally deleted those several pages. All you need to do with Dropbox is find the term paper in your Dropbox folder, right-click on it, and choose the Restore Old Version option. Dropbox will let you choose which version you want to restore and then will automatically bring back your deleted pages. Although Dropbox’s offers great features, it costs an awful lot of money if you need to use more than the 2 GB in the free plan. If you need more than 2 GB of backup space, I suggest you check out Mozy which offers 50 GB for $5.99 a month and 125 GB for only $4.00 more. When is the last time you backed up? Now it’s free, easy and automatic: Mozy.com Up to 2GB free! You can backup 300 photos, 340 mp3 files, and 240 text emails on a free 2GB plan. Mozy isn’t for sharing files with other people and it isn’t quite as easy to use as Dropbox, but it does let you restore old versions of your files for up to 30 days after you make a change. What happens if you don’t backup your data and your disk drive crashes? Does that mean that your data is gone forever? 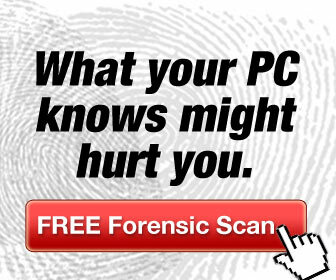 Maybe, but there is a last-ditch option—you can send your disk drive to a data recovery specialist. Data recovery from a failed disk drive is expensive. Expect it to cost between $100 and $1,000, with about $300 being the norm. Data recovery from a failed disk drive isn’t guaranteed. The good news is that most reputable data recovery specialists will evaluate your disk drive for free and tell you how much data they think they’ll be able to recover. Data recovery is usually quick. The most time consuming part is usually mailing your disk drive to the data recovery specialist. After that, most data recovery specialists can retrieve your data within one to three business days. The sooner you send your failed drive to a data recovery specialist, the greater the chance they’ll be able to recover all of your data. Make sure you follow the specialist’s advice for safely packing and shipping your drive. 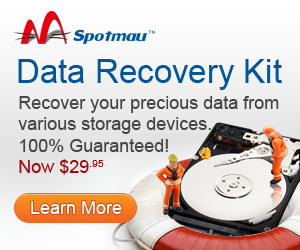 Watch out for disreputable data recovery specialists. They’ll hold your files hostage and jack up the price you agreed upon before hand. Look for Better Business Bureau accredited data recovery specialists. You can save a lot of money, time, and worry by making your own regular backups using Dropbox, Mozy, or another backup method where data recovery is much easier. An all in one software to recover, clone, backup, optimize and anything else you can think of! Be prepared now! Get The Best All-in-one PC Toolkit at $69.95! One important thing to remember with any data recovery method is that if you can do it, so can someone else. If you delete a file you never want someone to see again, remember to clear it out of your Trash folder right away. If you’re about to throw away a disk drive, remember that anyone who finds that drive in the trash will have access to all of your passwords and maybe even financial accounts. To completely destroy a disk drive, we suggest you use DBAN—which stands for Darik’s Boot and Nuke. DBAN is very dangerous software—after you run it, not even the FBI could recover files from your disk drive. But that means you’ll never be able to recover those files either. To learn more, please throughly read the instructions on DBAN.org. Too often the only time people think about data recovery is when it’s already too late. If you spend just one hour today making a data recovery plan for yourself, you’ll probably save dozens of hours and hundreds of dollars later. His worst experience with data recovery was trying to recover 5 years of his own accounting data off of a reformatted floppy drive–a task he failed. Yeah i get that a lot too, lagging when sharing big files in Dropbox that’s why i had to uninstall it. Mozy is new to my ear so how about i give it a try then. By the way this is a great info, i enjoyed reading your article and as well as joining the conversation. No not really. The files would have been wiped. You could contact a professional to see if they can do it. I would definitely love to have this recovery kit because I think I can utilize it with my daily work and activities on my laptop. With the comparison that you have shared here, i was able to see their differences and the benefits that it offers. Hi, good tips! that happened to me a lot, i used some recovery files software and some of my data were recovered although there are some that weren’t. anyway about the Dropbox, i also used it but i didn’t know it has that functionality. i just stop using it because i sort of notice that when your syncing files it drains out connections. i don’t know but do you think i’m right? I can’t say I have noticed a drain on the connection as we might have different internet connection speeds. Another good one to try is Mozy as they also have the free 2GB. Then maybe you can compare them and see if that one has a problem. Also when you tried to recover files was it with this software I mentioned above? What is a Content Management System And Do You Need One?